It seems that with the rising oil prices the Age of Sail is returning, even if in a modified format. 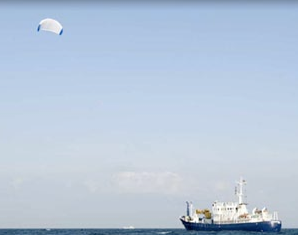 SkySails is a system that enables freighters to tap into high-altitude winds with a power kite to reduce fuel consumption. Watch the video presentation for more information. Everything old is new again! Via Slashdot. In sailing-related news, I posted some photos of the 2001 Heimlösa Rus reconstructed viking ship trip from Russia to Finland to Flickr. 03 February 2007. 1 minute read. 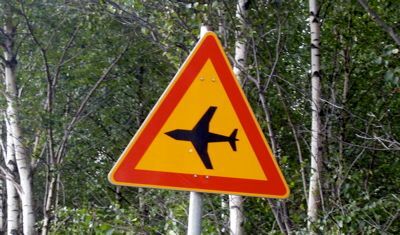 Because of time constraints I have not been flying as much as I should. However, if I want to keep my license current that has to change. 12 August 2005. 1 minute read. 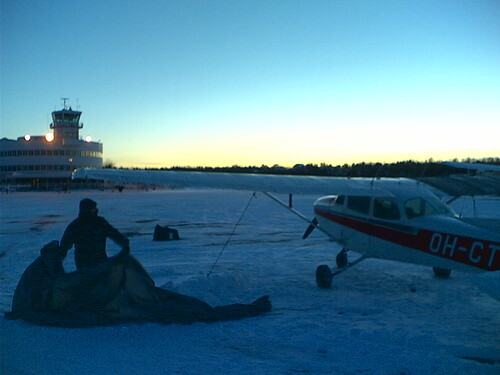 After returning from the wedding at 5am this morning and a brief nap I went to the Helsinki-Malmi airport to do the check flight for my Private Pilot’s License. After waiting the morning for VFR conditions we were finally able to depart at 11:30am amid rather low and rainy clouds.